It’s been a while since I did a recommendation. Not because I’m lacking in fabulous things that I’d like the world to embrace, but because I’ve been otherwise busy. 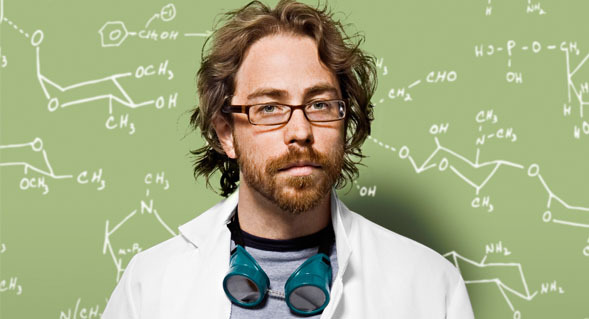 However, about a month ago I was introduced to the music of Jonathan Coulton and I’m not the same. Music recommendations are always really tricky because tastes vary so widely. Which recordings? The studio sessions? That one live show? That’s why I’m not recommending the music of Jonathan Coulton, per say. What I really recommend is the writing that goes into his music. I recommend his exuberance, his unapologetic nerd-i-tude, how his songs can be simultaneously so funny and so sad. It would be easy to dismiss Coulton as a comedy singer in the vein of Flight of the Conchords or Tenacious D, but that’s missing the depth of his art, in my opinion. He’s not a comedy act. He’s a singer/songwriter who happens to be really, really funny sometimes. If you imagine David Sedaris as a buoyantly cheery sort of folk singer, then you’re getting closer to the bizarre genius of Coulton. He’s some sort of fantastic, humorist minstrel that’s really difficult to describe and really easy to enjoy. I describe actor/comedian Eddie Izzard as someone “so funny that he can do european history humor” and it’s true — he can and does. Coulton is kind of like that. I haven’t come across any other songwriters who can write a catchy lyric about fractal geometry like Mandelbrot Set, a downright cheery sing-along about zombies like Re: Your Brains, a love song from the perspective of an evil mad scientist such as Skullcrusher Mountain, or so perfectly capture the plight of what it’s like to write software for a living as in Code Monkey. As I re-read that description, it almost sounds like kids’ music. Trust me, it’s not. Because of Coulton’s joyful First of May, I had to look up the meaning of “in flagrante delicto.” His lyrics are downright chewy sometimes and the complexity of songs like I Feel Fantastic and Creepy Doll reveal new jewels on each subsequent listening. This is not music dumbed down for the masses. These are anthems for your inner nerd. This is music so fun, yet so non-condescending, that you can’t help but have a better day. I don’t think any further attempt at description would really do JoCo justice, so I’ll leave it at this. If you can scrounge up $12, head over to the iTunes music store and pick up Best. Concert. Ever. pronto. This live performance released in 2009 so perfectly captures his exuberance that I really can’t recommend it enough as the place to start. I can listen to its 20 tracks on nearly endless repeat. I love this album and I’m absolutely thrilled that The Mrs and I are going to see him live in October! 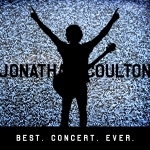 Jonathan Coulton’s Best. Concert. Ever. on iTunes. Ever heard of Tom Lehrer of “Poisoning Pigeons in the Park” fame? His “An Evening Wasted with Tom Lehrer” album is funny! Can’t say that I have. Sounds funny. Eddie Izzard is so funny! I loved his TV show The Riches was an amazing show, I thought., my wife didn’t get it.